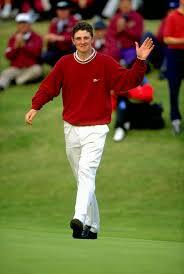 He came to prominence at the 1998 Open. His fourth place finish as an amateur, alerting the golfing world to his emerging talent. Nineteen years later, Justin Rose returns to Royal Birkdale, Still without an Open title to his name. Ahead of the event, Justin is talking about the innocence he had in 1998. And his desire for a return to that same feeling this week. It’s an interesting observation. When you join the games professional ranks, the freedom you have as an amateur, can be negated by all the pressures playing the game for money brings. The need to make cuts; pay your tour bills; the comparisons with better players etc. It can all impact on your ability to play the game with a clear head. When your learning the game, there is a natural innocence that you bring to your game. Just you and your love of the game. The love of making shots. The love of understanding a course. It’s pure. Unsullied by cynicism. Unconcerned by outcomes. The longer you play the game, the more you can lose this feeling. That’s why there is great value in Rose reconnecting back to the magic of his amateur days. For it was then that his game was at it’s purest. Align that with the knowledge and wisdom he has accumulated over the intervening years, and you have a potent combination. Of course playing with innocence doesnt guarantee that you are ging to win the Open. But it means that you will play with an open-mindedness, spark and love of the game that will help you overcome the many challenges the Open throws up.